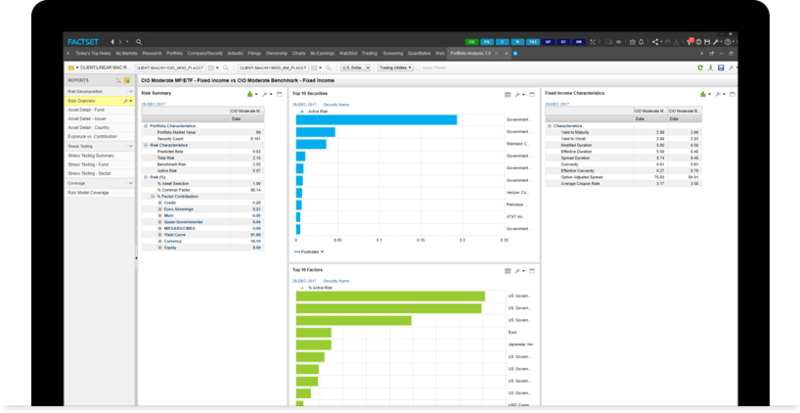 Integrate risk analytics at every stage of the portfolio lifecycle. Bad or incomplete data leads to flawed models and decisions. But with the confidence that comes from trusted data at each stage of your investment process, you can act with a full understanding of your assets under management and in accordance with changing regulations. Integrate risk analytics at every stage. 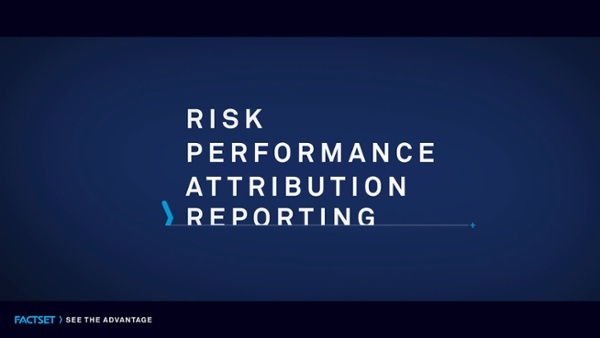 Integrate risk analytics at every stage of the portfolio lifecycle, from research and construction to oversight and reporting, with a single source of data integrity. 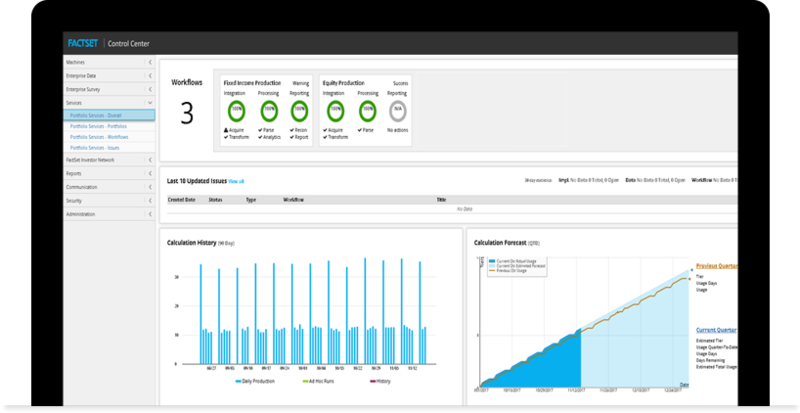 FactSet’s multi-asset class models are fully integrated across our middle office solutions, enabling you to view risk across the many steps of your investment process, from high-level dashboards to flexible portfolio-, factor-, and asset-level detail to client-ready presentations. Watch our webcast, A Concentration on Risk, Understanding Portfolio Risk with a Linear Approach, to see an outlook on portfolio risk and why linear risk plays such a crucial role, an overview of FactSet’s new Global Linear Factor Risk Model, and a walk through of key linear risk reports and how to seamlessly implement them into your investment process. Get coverage that matches your process. 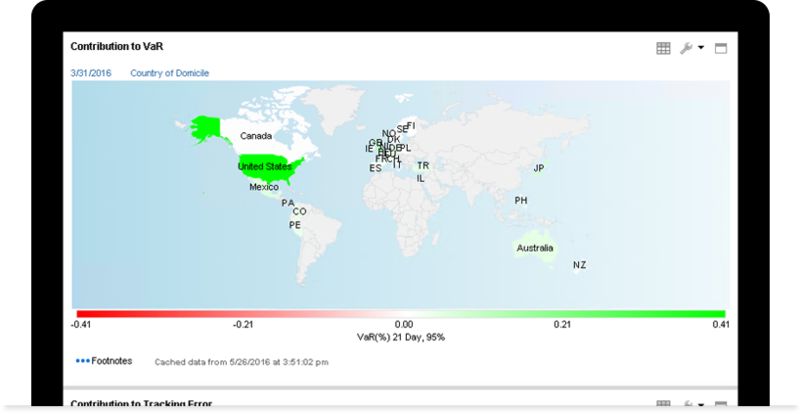 Choose the risk model that matches your investment process with risk models from FactSet and Cognity, other leading model vendors, or your own custom models. Unlike other providers, FactSet lets you incorporate and compare models from multiple risk model providers. Include asset classes that are most important to your investment style, such as equity, fixed income, commodity, currency, alternatives and private assets, and their derivatives. Answer complex questions with unique data. New asset types need more complete data to uncover a security’s true risk. FactSet’s fully integrated alternative data, along with hand selected partner data, gives you the information you need to better understand your ESG exposures, decompose the revenue segments of your portfolio across regions, countries, sectors, and industries, and easily identify underlying assets of any mutual fund, ETF, or other internal assets. Set thresholds to ensure your portfolios are investing according to compliance guidelines or risk tolerances. 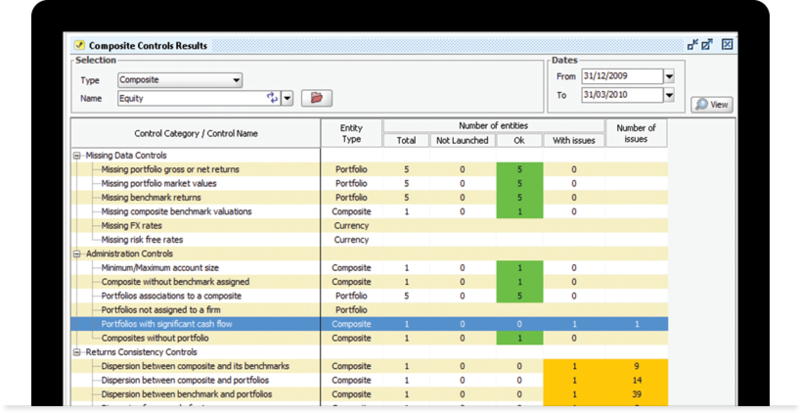 Pinpoint vulnerabilities across all portfolios. 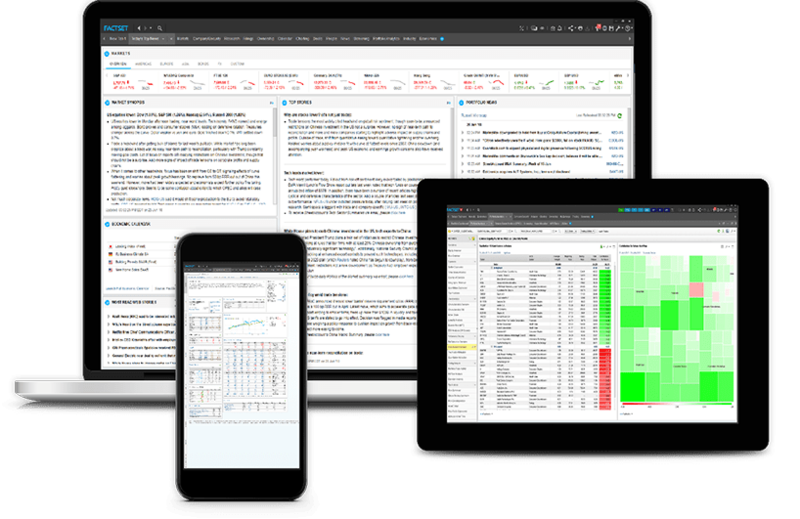 Identify portfolio vulnerabilities beyond volatility and tracking error with downside and extreme event risk, and integrate FactSet’s extensive market and security data to take your analysis to the next level. 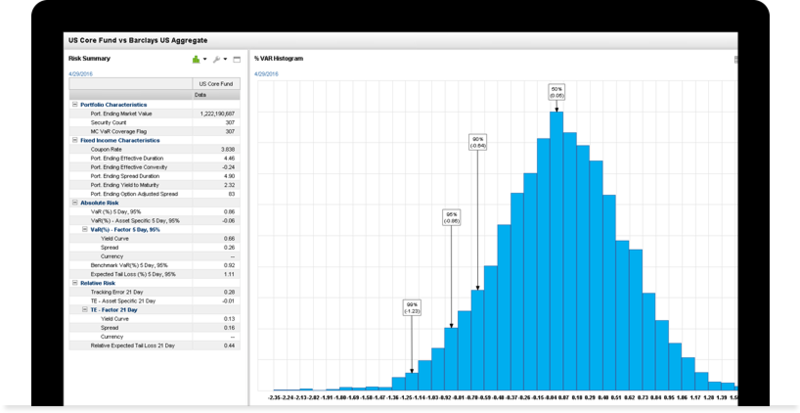 Our non-normal fitted factor distribution framework lets you capture risk in the tails of the distribution and better reflect real world events. When news breaks or trends shift, quickly quantify firm-wide exposures to a security, an issuer, an industry, a country, or a specific set of securities to analyze precise ownership. Focus on risk, not data processing. Throughout your process, concentrate on analytics, not on data maintenance, when you let FactSet take on the processing of your firm’s data and analytics. Our team of specialists works around the clock to monitor and remedy issues during all stages of your workflow, from data extraction to analytical enrichment, through report generation and data delivery. Maintain compliance with shifting regulations. The risks and costs associated with new and enhanced regulatory mandates are growing every day, and keeping up with policy can derail your strategies. FactSet’s combination of industry expertise, reliably connected data, portfolio analytics and client reporting, and strategic partnerships can ease the burden of compliance with many regulations and standards, including MiFID II, Solvency II, KYC, and many others.